Becoming a business owner may well remain a far-reached dream for many, but small businesses have been blooming in Kuala Lumpur, Malaysia in recent years due to vigorously expanding weekend craft markets held in the Klang Valley and of course, the social media. 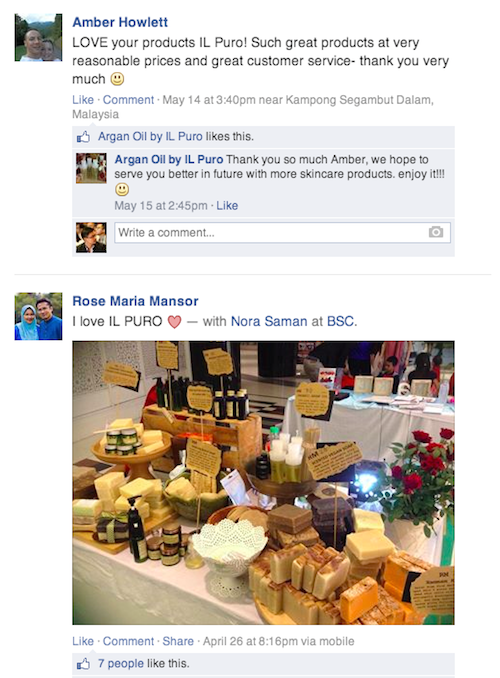 With such supportive platform, it is no wonder that young professionals like Nora Saman is able to juggle between her regular job as a lawyer and part-time passion as a natural soap maker. “I’m an artist living inside a lawyer,” Nora said when interviewed by Vulcan Post. 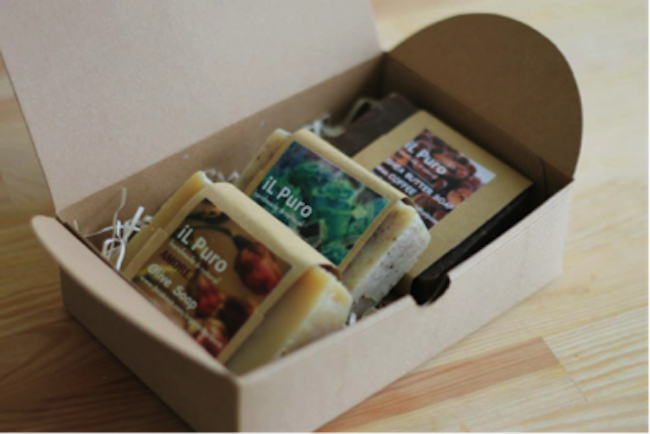 For Nora, establishing iL-Puro to sell her handmade soaps, lotions, creams, and et cetera is a dream come true and an expression of art. Though the market is highly competitive, Nora sees a potential in it due to increasing public awareness on the goodness of natural products. 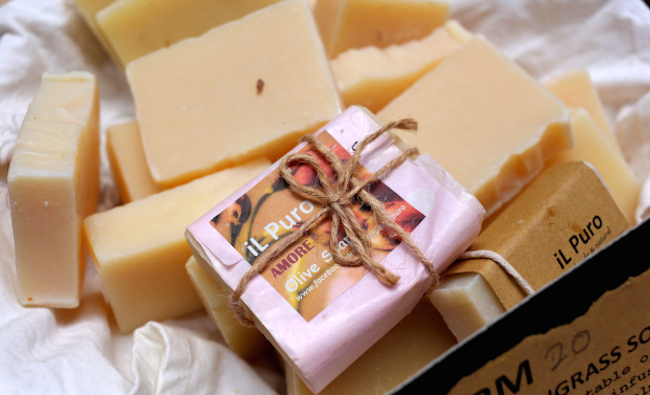 She has, at the moment, produced five different scented olive soaps and unscented soaps like shea butter soap, clay soap, goat milk soap, breast milk soap, and unscented olive soap. Christy Ng, the next Jimmy Choo of Malaysia, has shoes you will definitely love! On top of that, she has extended her product line into shea butter cream for eczema relief, Argon lotion, hair scalp treatment oil, lip balm, natural liquid soap, and essential oils. Such natural cosmetics products take a longer time to be formed than their industrially produced counterparts. Also, with no additives added, their shelf life tends to be shorter. However challenging as it seems to be, soap-making also brings great sense of satisfaction to the maker and intensifies when the customers appreciate the value and wellness it brings. Her regular customers are mostly her business acquaintances, friends, and family members who have grown to trust her and her products. 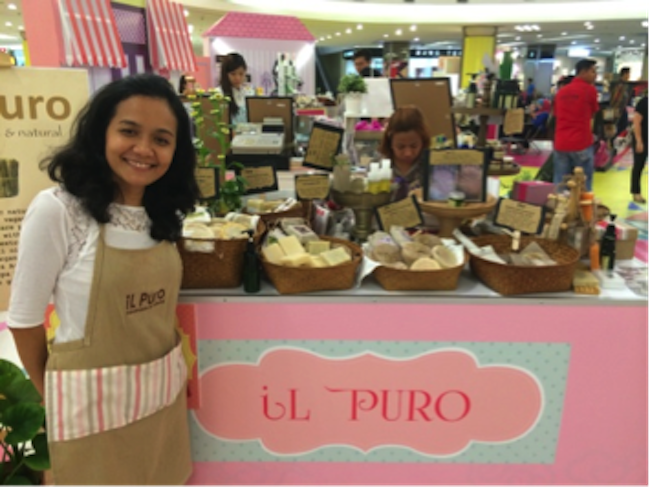 Though iL-Puro’s revenue is not as promising since Nora is only able to sell her products during free time, this young and energetic business owner sees iL-Puro as a constructive way for her to balance her stressful lawyer career and earn money from her passion. As she explains her products patiently, her eyes sparkle with the confidence of a lawyer and a thriving young entrepreneur who is trying out different possibilities. “I earn more as a lawyer, but I love iL Puro. I get to befriend people who are different from those I meet daily at work – people who share my interest, it’s amazing. I am consistently growing together with iL Puro. As someone who has zero chemistry education, I’m very proud of myself!” she said with a wide grin. Her advice to other young professionals who wish to own their own businesses? Keep your regular job for a decent income and comfortable lifestyle, but never stop living out your dreams. This article is written by Connie Tang.